Over the last decade, scientific research has started to reveal the importance of boron for overall health. The health benefits of boron have been associated with improved brain function, arthritis relief, and increasing magnesium absorption. Boron is also beneficial for your bones and joints, too. 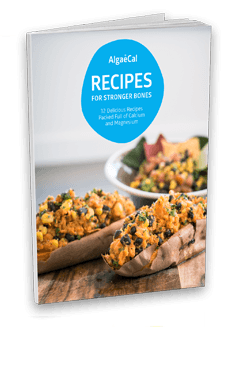 Studies have shown that boron plays an essential role in keeping your bones and joints functioning optimally by helping your body metabolize important minerals such as calcium. The “boron vitamin” as it’s commonly referred, is actually a trace mineral. Boron allows certain nutrients within your body to perform at their best. In the past, humans and animals were able to get the micronutrient boron through the foods they eat. Now, due to mass production farming techniques, the foods we eat aren’t getting as much from the soil and water as it used to. In other words, while you may be eating a similar diet to what your parents ate, it’s providing you with less of what you need. So how do you compensate for a lack of boron? You can try to incorporate the top boron-rich foods into your diet, such as almonds, avocados, and bananas. Although, supplementing with boron will ensure you’re making up for the shortfall of your diet. Research has shown that you need at least 3 mg of boron per day to see benefits for a number of ailments. Fortunately, AlgaeCal Plus provides this in a daily dose – along with plant-based calcium, magnesium, vitamin K2, vitamin D3, vitamin C and additional bone-supporting trace minerals like selenium, vanadium, and silica. Discover more about this clinically proven bone building supplement. But what are some of the surprising ways boron can improve your overall well-being? A controlled dietary study was done on older men and women to determine whether boron is an essential nutrient for humans. Although more testing needs to be done, the study showed some very promising results. The men and women involved in the study were given boron at various mg dosages (ranging from 0.25mg to 3.25mg). After just 63 days brain function in the individuals who consumed 3.25mg had significantly improved. The study suggests that boron is important for both mineral metabolism and membrane function. Boron has been proven to aid in overall cognitive performance. If you’re like most people, you are probably worried about depleting brain function as you age. With results like that, it’s easy to see why many doctors and scientists have decided that boron is an essential nutrient for humans. 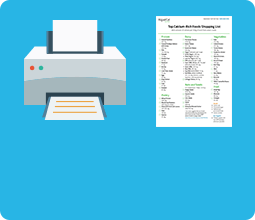 Check out this related article on 27 Boron-Rich Food Sources to learn how you can get your daily dose of boron. An estimated 54.5 million US adults have been diagnosed with some form of arthritis, rheumatoid arthritis, gout, lupus, or fibromyalgia by their healthcare provider. As you age, the statistics get higher and higher. That’s why it’s so important to tackle the root cause of arthritis before it’s too late. Inflammation occurs when your body’s defense system releases white blood cells into your system by mistake. Luckily for you, boron has plenty of anti-inflammatory qualities. Boron limits the release of certain chemicals that can leak into your joints, causing pain and swelling. The most common form of arthritis among adults is osteoarthritis. Many published clinical studies have shown promising results when it comes to boron and bone health. Boron is able to control inflammation associated with bone mineral density that causes harmful osteoarthritis. In fact, it has been prescribed in Europe since the early 1970’s specifically for the treatment of osteoarthritis. And in some patients who have taken boron, their osteoarthritis symptoms have not only been lessened but been relieved altogether. Boric acid is derived from boron and has loads of antimicrobial properties making a natural alternative to harsh chemicals when treating yeast infections. Boric acid works to kill and inhibit harmful bacteria through a broad range of antimicrobial functions. Not only that, but it helps disturb the synthesis (production) of said bacteria. A recent study on the yeast C. albicans suggests that the toxicity levels of boric acid impairs the yeast from being broken down and absorbed into your body. You can even purchase boric acid capsules over the counter if you have, or think you may be getting a yeast infection. Although it’s not 100% effective for every woman, some studies suggest boric acid works for 70 out of 100 women. If you’re looking for a safe, natural way to treat your yeast infection, you may want to consider the benefits of boric acid. Those who suffer from hyperinsulinemia or diabetes can benefit from consuming more boron too. It turns out, boron deficient diets can cause these crushing illnesses over time. When the levels of insulin circulating in your blood are higher than the required glucose levels, it can lead to big problems down the road. After a while your body becomes less sensitive to insulin, thus not meeting your body’s needs. If your healthcare provider has suggested you may be at risk for insulin-related diseases, you may want to look into adding more boron into your regime. Boron helps your body metabolize insulin and may help reduce the amount required to maintain optimal plasma glucose based on several animal studies. With the help of boron and a healthy diet, you can keep your blood sugar levels exactly where you want them. If you have or have ever had kidney stones, you know just how painful they can be. That’s why doctors are constantly searching for new, pain-free treatment options. Boron seems to have a positive role in kidney stone removal. Urinary calcium excretion has a big impact on kidney stone formation and size. Boron (in doses of 3 mg per day) reduces this excretion, leading to less painful stones. One clinical trial followed the treatment of a man with severe kidney stones. After supplementation of boron and antioxidants, he was able to successfully pass his stones with minimal pain and bleeding due to the reduction in size. Boron is an essential nutrient for plants, animals, and humans. However, our bodies are unable to produce it on their own. We have to get our boron solely from our diet but having too little can be a problem and so can having too much. 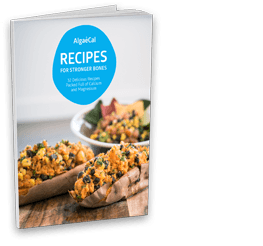 Aware of that, we made sure to include 1.5mgs of body-friendly boron in each serving of AlgaeCal Plus…leaving no stone or bone unturned. Boron is an incredibly versatile nutrient. Depending on how you use it, it can be helpful for everything from bone growth to wound healing and even helps metabolize other vital nutrients you need such as magnesium. Did you know just a 3% solution of boric acid in a deep wound reduces time spent in intensive care by two-thirds? Boron increases the half-life as well and the bioavailability of other supplements you may be taking through its production of estrogen and other vital hormones. Boron allows your body to work smarter, not harder. Oxidative stress means there is an imbalance between the production of free radicals and the ability of your body to detoxify their harmful effects. In layman’s terms, your body makes too many free radicals and can’t get rid of them fast enough. So, what’s so bad about oxidative stress anyway? In animal studies, boron not only decreased induced oxidative stress, but it increased the antioxidant defense mechanisms of the animals and regenerated damaged tissues in their liver, kidneys, and brain. Essentially, boron stops free radicals in their tracks by attaching a donated electron without risking harm on itself. At the same time, boron boosts your immune system to stop production of unhealthy free radicals. Vitamin D deficiency can happen in a number of ways. Even if you get plenty of sunlight, you may be surprised to learn your vitamin D levels aren’t up to par. Perhaps you don’t get enough from food sources. Or, maybe you take medications that interfere with your ability to convert or absorb it. You can even have a vitamin D deficiency if you’re overweight or obese. Vitamin D deficiency has been linked to a plethora of nasty diseases such as high blood pressure, diabetes, cancer, and loss of bone density. Calcium and vitamin D work hand in hand to prevent these health issues and more. Your body needs vitamin D to absorb calcium. Meanwhile, if your body doesn’t get enough calcium from food sources or supplementation, your body will be forced to take it from the only place it can find it. Your bones. Clinical studies have demonstrated that boron supports healthy bones by increasing serum levels of calcium absorption. In a recent study, 90% of Vitamin D deficient patients who took a 6 mg boron supplement experienced a whopping 24% increase in Vitamin D-3 serum levels in only 60-days. In a study conducted by Dr. Hector De Luca, Department of Biochemistry, University of Wisconsin – Madison, bone ash measurements reflect a significant trend toward elevations when boron is administered to Vitamin D deficient rats. Vitamin D deficient animals are used in research for the investigation and discovery of novel anti-osteoporotic treatment. Using this model, an 8-week treatment with boron increased bone mineral content by 5.8% as measured by bone mass. This result suggests that boron may increase bone strength. Find out more information on boron and bone health. When most people think of the hormone estrogen, they think of mood swings, hot flashes, and fatigue. While it’s true, low estrogen levels can cause all of these things, estrogen plays an important role throughout your body. Did you know estrogen affects the following body processes as well? As you can see, maintaining a healthy level of estrogen is important to health for both men and women for a variety of reasons. If your doctor has diagnosed you with low estrogen, you may want to consider adding boron to your daily routine. One controlled study showed promising results when it comes to boron and boosting estrogen levels in postmenopausal women. Twelve women were given diets with both boron and estrogen supplementation resulting in an increase in short-term estrogen levels. Afterward, the same women were given diets with only estrogen supplementation with lesser results even long-term. Age-related testosterone decline has become increasingly common. 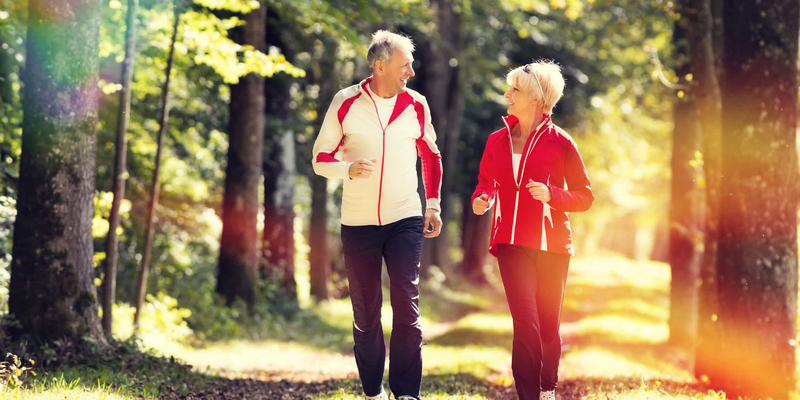 Low testosterone in both men and women can cause adverse health risks. To keep your body operating at an optimal level, you can try adding boron supplementation to your daily routine. Boron works in several ways to make your testosterone work for you, instead of against you. Testosterone levels more than doubled when boron supplementation was given to those with previously low-boron diets in one study. The same study showed a higher conversion rate of total testosterone to important free testosterone, after only one week. Essentially, boron increases your level of testosterone and helps convert it into something your body can use. Testosterone is proven to increase muscle mass, sharpen memory and concentration, libido, and improve energy levels, so boosting it naturally and safely with the aid of boron should be considered a no-brainer. Nearly everyone has been affected by cancer in one way or another. It’s not a fun subject for many. However, more and more scientific research is coming out with promising ways to stop cancer in its tracks. Recently, boron has been in the line of sight for many prominent researchers. Population studies have found an inverse association between dietary boron and prostate, cervical and lung cancers. And, cell culture studies have shown that boron actually inhibits the growth of some types of prostate and breast cancer cells. An ongoing 10-year study was started to determine the correlation between boron, hormone replacement therapy and lung cancer in women. It was determined that those with lower boron levels (among both smokers and non-smokers) had significantly higher risk of lung cancer. According to this third National Health and Nutrition Examination Survey (NHANES III), boron helps facilitate hormone action associated with some types of cancers, including prostate. Less than 1 mg of boron daily boron intake inhibits the health benefits of boron, making supplementation important. While more trials still need to be done, boron is looking pretty promising as a cancer preventative when consumed correctly. Boron can affect the strength of bones and joints. Adding boron to your daily routine can not only increase the cell-survival rate in your bones but can actually be used as regenerative medicine for bone formation. According to one long-term study, boron works on the molecular level to rapidly increase the number of cellular proteins through osteoblast. Simply put, boron helps regulate proteins by allowing cells to secrete at a higher-density rate. Thus, giving you stronger bones. But, the restorative process doesn’t last forever. To keep your bones and joints strong and healthy, you may want to consider a daily dose of boron. Scientists have known for years the importance of boron for bone health. Studies have shown that a natural bone-building supplement with the addition of boron, improved bone density in as little as 6 months! Boron plays an integral part in supporting healthy bones since it supports the functions of calcium, magnesium, and vitamin D. Calcium loss and bone demineralization can be put on hold with a daily dose of boron. The USDA did an experiment involving postmenopausal women and how boron affects bone density. It turns out, boron also has an important role when it comes to osteogenesis (how your body makes collagen). Collagen is a necessary protein for strong, healthy bones. The same study showed with boron supplementation, daily urinary excretion of calcium was reduced by a whopping 44%. That means, calcium stays in your body longer. 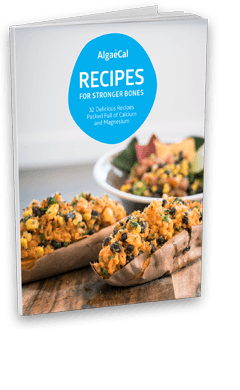 The take-home lesson is that adequate boron intake is essential to preserving the body’s stores of bone-building calcium and magnesium. Over time, boron deficiency can lead to osteoporosis. Your bones constantly need to be regenerated. When the cycle of creating new bones doesn’t keep up with the removal of old bone tissue, your bones become weak and brittle. With the aid of boron consumption, you can renew the cell structure of your bones quickly and effectively through calcium absorption. If you have any of the following predetermined risk factors for osteoporosis, you may want to think about boron supplementation. You are of white or Asian descent. You have a parent or sibling with osteoporosis. You have a smaller stature. As you age, the risk of osteoporosis increases as well. Add more boron to your daily routine to prevent bone-related diseases so you can live your life to the fullest. Your body doesn’t produce boron on its own. But the good news is, there are many foods you can add to your diet to increase your intake of boron. As plants grow, they absorb boron through the soil and water. 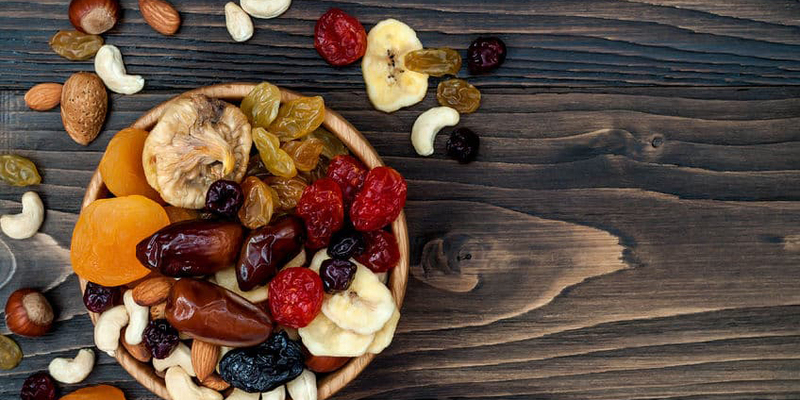 Some boron-rich foods include dried fruit and nuts, but for a complete list, check out the 27 Boron-Rich Foods You Need to Know. Although there hasn’t been a specific dietary guideline established for boron, less than 1 mg per day is considered inadequate. Research suggests 3 mg per day is necessary for its beneficial health effects. 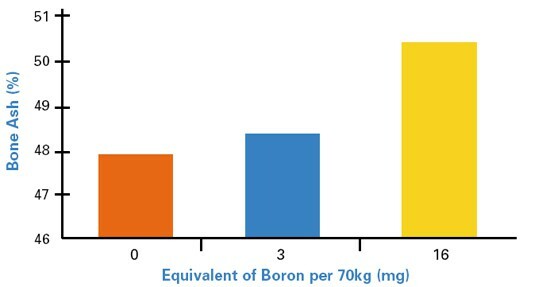 Over-consumption of boron is unlikely. Toxicity levels for the average adult are upwards of 17 mg-20 mg of boron per day according to the Food and Nutrition Board. Even getting 3 mg of boron through food sources per day would prove to be a challenge. As you can see, the trace mineral boron has many surprising health benefits for both men and women suffering from a variety of ailments. So to ensure you are getting enough to reap its benefits, try AlgeaCal Plus. 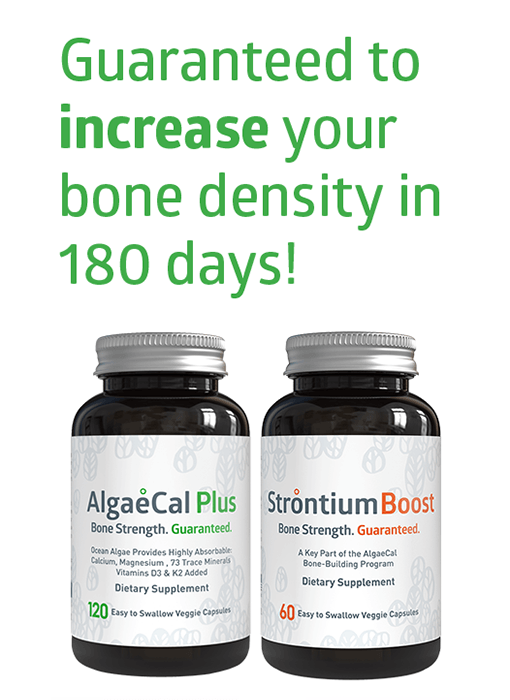 A daily dose (4 capsules) provides 3 mg of boron – and all 13 clinically proven bone-supporting nutrients in their proper proportions, the way nature intended. Try AlgaeCal Plus today!